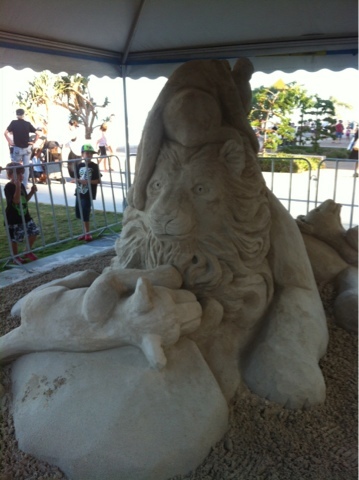 My family and I recently checked out the Sand Safari (Australian Sand Sculpting Championships) - sand sculptures by the sea in Surfers Paradise. A lovely free afternoon out with my lil family. The designs were pretty impressive! It took a lot of effort keeping Miss 2.5 behind the fence as she so desperately wanted to contribute her sand-castle-building-skills. There we stayed for around two hours until sunset as they tried to craft their own amazing works of art.